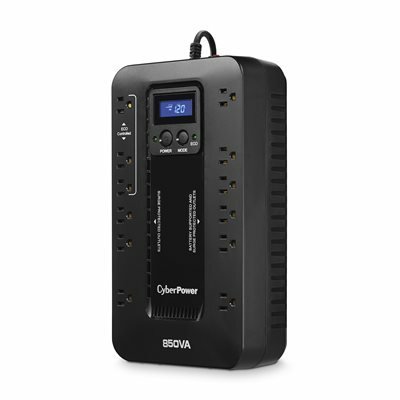 A compact UPS with standby topology, the CyberPower Ecologic EC850LCD provides battery backup (using simulated sine wave output) and surge protection for desktop computers, workstations, networking devices, and home entertainment systems. 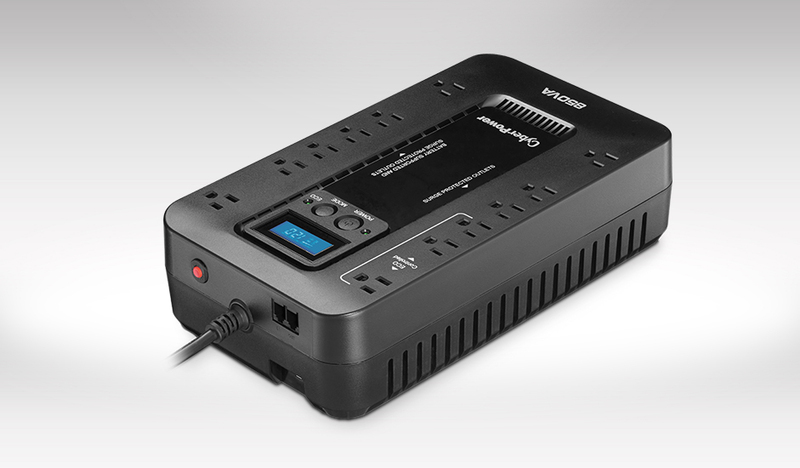 During power interruptions, the EC850LCD offers reliable power protection and battery backup. When the battery backup detects that the computer is off or in sleep mode, computer peripherals connected to the ECO Mode, surge protected outlets will be automatically turned off, reducing power usage and lowering energy costs - USB connection required.This UPS has a capacity of 850VA/510Watts, and includes twelve (12) surge-protected NEMA 5-15R outlets (6 with battery backup and 3 with ECO technology). The multi-function LCD provides users the ability to check UPS operating status and assist in trouble-shooting power issues. Its compact design allows for horizontal or vertical placement, or it can be mounted on a wall.